A growing awareness of the limitations and vulnerabilities of GNSS — along with advances in inertial designs and manufacturing — has opened a new era in which these admirably complementary technologies are converging ever more often into integrated products. Two key devices are associated with inertial navigation: gyroscopes and accelerometers, which measure, respectively, the angular velocity and the linear acceleration of a platform. 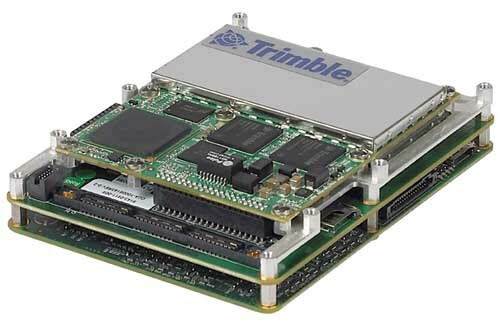 Integration with GNSS is typically realized in an IMU comprised of three gyros, three accelerometers, and a computer. Most accelerometers are based on similar sensor technologies, and thus the significant differences among IMUs usually stem from the type of gyroscopes used. Modern inertial navigation arose during the 1930s and was originally applied to guidance of rockets. Consequently, the technology has long been associated with military endeavors, and export controls continue to impose constraints on some inertial products. In the past, expansion of civil and commercial applications have been limited by the high unit costs associated with optical-based gyroscope technologies, such as ring laser gyros (RLGs) and fiber-optic gyros (FOGs), able to meet requirements for precision navigation. Such systems typically weigh about 25 pounds, use 50 watts of power, are in boxes of about 0.5 cubic feet, and cost between $50,000 and $100,000. Since their introduction in the early 1990s, silicon micro-machined gyroscopes have been steadily improving. Consequently, micro-electromechanical (MEMS) inertial measurement units (IMUs) based on this manufacturing method are approaching the level of RLGs and FOGs. These IMUs may weigh 0.1 pound, use 0.1 watt, come packaged in boxes of about two cubic centimeters, with bias stability in the range of 1 to 10 degrees per hour, and cost less than $2,000. A 2011 report by Yole Développement sees the overall IMU market growing at a 9 percent annual growth rate, reaching $2.6 billion by 2015 and still dominated by defense and aerospace applications. Unlike the historical trend, however, MEMS industrial and tactical-grade types of sensors comprise the most dynamic technology. Yole sees the high-performance MEMS IMU market growing from $361.8 million in 2009 to $604.6 million in 2015. The availability of MEMS IMUs now promises to open up a range of potential applications markets for which traditional precision IMU technologies are practically unaffordable. Mike Perlmutter has worked in the inertial navigation field for more than 30 years and was a key contributor to Yole Développement’s IMU & High Performance Inertial MEMS 2011 Report. He was the Navigation Systems Division director of strategy and planning at Northrop Grumman in 2007 when he retired from the company and established Skylight Navigation to consult in the area of inertial systems, navigation, corporate planning, and strategy. A co-founder of Fibersense Technology, Perlmutter holds three degrees from MIT and has authored 10 U.S. patents on inertial sensors, GPS, and navigation technology. We asked him to comment on the evolution of inertial technology, applications, and markets. IGM: In which ways are the boundaries among inertial technologies changing in terms of cost, performance, and applications? PERLMUTTER: Because they have been in high volume production for so long — almost 35 years, RLGs are changing the least. Both RLGs and FOGs have their “sweet spot” from the high tactical grade (less than 1 degree/hour) up to navigation-grade (0.005 degree/hour) performance class. FOGs are also fairly mature, and producers are no longer able to reduce costs through to improvements in components from the telecom industry, manufacturing efficiency resulting from higher volume production, or breakthroughs in basic technology. MEMS are making the most significant improvements in performance. In addition to the expected technological advances, (smaller, less power, lower cost), two significant breakthroughs will affect these sensors: complete MEMS IMUs can now be fabricated on planar substrates (three orthogonal axes of gyros and accelerometers), greatly reducing the manufacturing and assembly costs; and the ability to eliminate long-term bias drift by periodically applying a reference stimulus (and later extracting it) is greatly improving the long term performance of MEMS IMUs. IGM: What are the motivating factors to use MEMS-based IMUs over older/non-MEMs technology? PERLMUTTER: The main motivating factor is that in many cases MEMS IMUs offer nearly the same performance (or adequate performance given their extremely small size and cost) while using 1 to 2 orders of magnitude less power, weighing an order of magnitude less, occupying 1 to 2 orders of magnitude less space, and costing an order of magnitude less than traditional optical-based IMUs. IGM: What markets/applications are driving the use of MEMs IMUs? PERLMUTTER: During Q2 of 2011 Apple alone sold over 30 million IMUs in their iPhones and iPads alone! (every iPhone and iPad has three gyros and three accelerometers — so, only a slight stretch). Thus these types of consumer applications are the strongest drivers for the MEMS IMUs. Will MEMS-based IMUs ever replace all other technologies in all market places? I do not think so! Some significant physical limitations (large surface to volume ratios makes MEMS devices very sensitive to surface effects such as charging, contamination, out-gassing and trapping) will prevent small sensors (less than one square centimeter) from being able to have performances of slightly larger optical sensors. Nevertheless continued progress in MEMS-based IMUs will continue to make them ubiquitous in virtually all applications where some type of motion is involved — to analyze it, control it, or perhaps stabilize it.